A tide that occurs when the difference between high and low tide is least. Neap tide comes twice a month, in the first and third quarters of the moon. 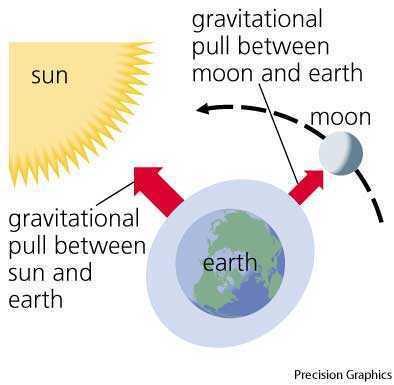 Neap tides occur when the sun, earth, and moon form a right angle and the gravitational pull of the sun counteracts the pull of the moon. "neap tide." YourDictionary, n.d. Web. 09 April 2019. <https://www.yourdictionary.com/neap-tide>. A tide in which the difference between high and low tide is the least. Neap tides occur twice a month when the Sun and Moon are at right angles to the Earth. When this is the case, their total gravitational pull on the Earth's water is weakened because it comes from two different directions. The tide which occurs just after the first and third quarters of the moon, when there is least difference between high tide and low tide.